Halloween weekend in New Orleans is always full of surprises, and Arcade Fire did not disappoint fans who traveled far and wide to see them perform live. While the Canadian rockers were in town for their headlining Voodoo Music and Arts Experience set, the "Reflektor" creators shocked fans with an intimate secret show at an empty space in Secondline Stages in the Big Easy the night before. Concertgoers lucky enough to catch the show were treated to new, unreleased music from the the Montreal-based group, which will presumably be on their upcoming album. The next day, as word spread about the private show, crowds heading to Voodoo were anxiously hoping to hear some of the new music during the “Wake Up” performers’ set. Lead singer Win Butler and crew played a fantastic show with an eclectic and wild stage presence, however no unreleased songs made it onto the Voodoo setlist. Butler made a sweet deal though, offering the crowd a chance to sing on a track for their forthcoming record. The lead vocalist sang a melody and had the large audience sing it back to him, over and over. This can only mean that we are one step closer to a new album release and we can’t wait. 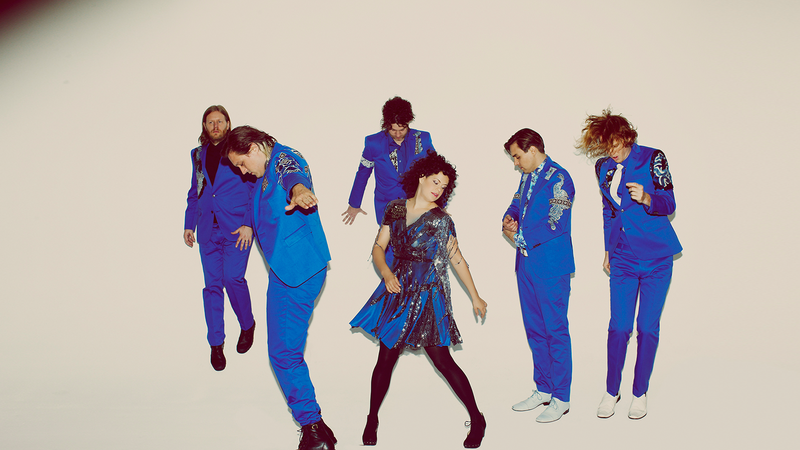 For now, make sure you’re tracking Arcade Fire on Bandsintown so you never miss another show!